Engadget giveaway: Win an Optoma UHD60 4K projector! HDR support is also onboard for this scalable home theater solution. If you're planning a new home theater setup, 4K resolution and HDR color processing are definitely where you should be heading. You'll also want to maximize your screen real estate to enjoy it all, but many people don't have room in their layout for big sets or prefer less hardware clutter. That's where projectors like Optoma's high-performing UHD60 really fit the bill. It was the first 4K projector under $2,000 when it arrived a few months ago and uses an improved method over much of the competition to achieve that resolution. The unit can be ceiling mounted and offers a display size of up to 300 inches. Ports include USB (convenient for charging streaming dongles) HDMI, HDCP 2.2, S/PDIF and more. The output is 3,000 lumens of brightness and even standard dynamic range content can be upscaled to HDR here. This week, Optoma has provided us with one of its UHD60 projections for one lucky reader, so they can sample the company's image processing for deep blacks and crisp details. If you'd like the freedom and immersion that this type of 4K display provides, head down to the Rafflecopter widget below for up to three chances at winning an Optoma UHD60 projector! Winner: Congratulations to Will G. of Washington D.C.! Winners will be chosen randomly. 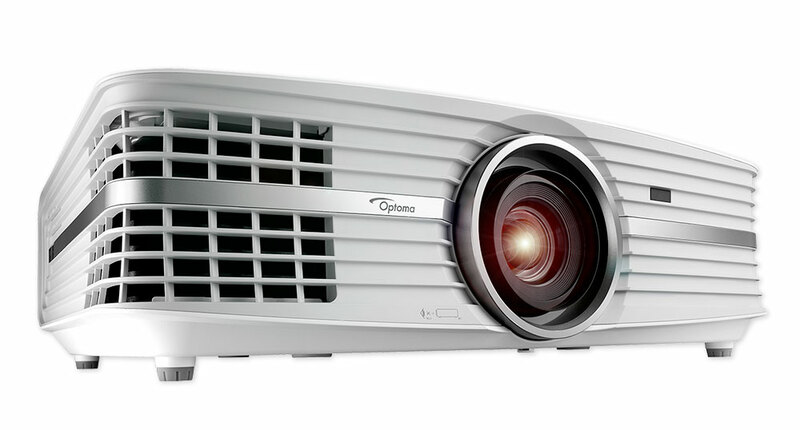 One (1) winner will receive one (1) Optoma UHD60 4K projector ($1,999 value). Entries can be submitted until September 22nd at 11:59PM ET. Good luck!